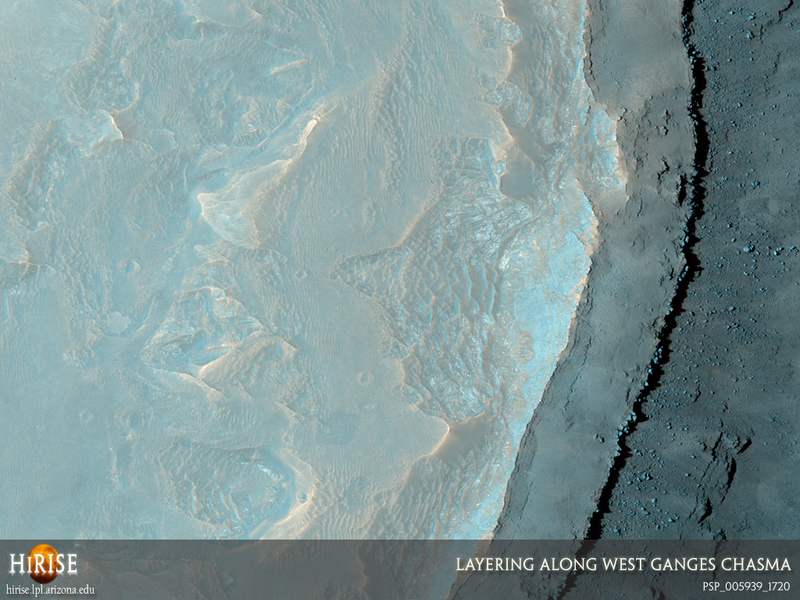 This observation shows a sequence of layered sedimentary rocks exposed along the wall of Ganges Chasma. Ganges Chasma is in the northeast part of the Valles Marineris system and cuts through surrounding plains interpreted to have been resurfaced by flowing lava. The Chasma is believed to have formed due to the collapse of plateau rocks along fault systems. 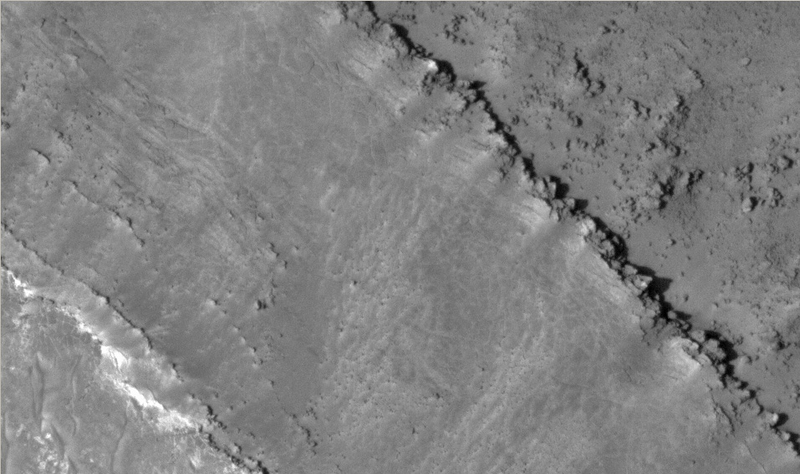 The plateau above the chasma is at the left side of the image and the wall of the trough descends to the east. This is a stereo pair with ESP_011292_1720.